It’s officially Christmas time! Over the next few days and weeks, many of us will be dragging out the boxes of ornaments, setting up trees, baking recipes, and picking the perfect gifts for those we love. In an effort to share inspiration, several of your favorite bloggers decided to host a Christmas link up. Each week will have a theme, and will hopefully give you lots of creative ideas, a chance to catch up with familiar bloggers, and maybe meet a few new ones. 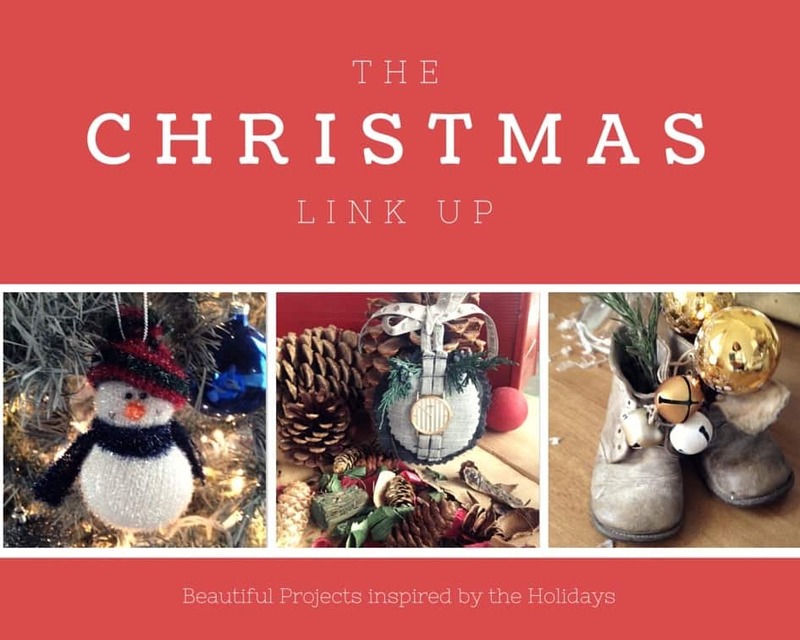 The Christmas Link Up is here! Welcome! There are more than 30 bloggers involved in this four-week long link party, you are going to love seeing all their wonderful holiday ideas! This week’s theme is Christmas Trees! I can’t wait to be inspired! Here are the rules for the link! · Please link to a specific post on your blog, not your blog’s home page. You may link up to 3 posts per blog. Please leave a comment for your host, remember it’s a party! · Please be sure to visit a couple of blogs and leave comments. · No Etsy stores, giveaways or other link parties. · Please with a text link or party button to your host. · By submitting a link, you’re giving us permission and granting us the right to feature your project and photos on this blog, website and on social media. We will always give proper credit and a link back to your post. Each week, a few of our favorites will be featured on our individual blogs. Features will also be pinned to our Christmas Link Up Pinterest Board for even more exposure! Wow, what a great linkup! So much talent here, you are going to love what these blogs have to share! I can’t wait to see what you’ve got, come on let’s party!